← Please let me know how to replace text in PDF Files? 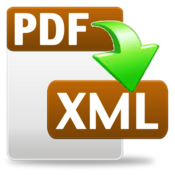 Wanna convert PDF to XML on Mac OS X? VeryPDF PDF to Any Converter for Mac is a professional PDF to XML converter which can easily and efficiently convert PDF to XML on Mac OS X.
XML is a web friendly format that is well-matched with multiple systems. It can reduce storage space and improve data efficiency. Because of its flexibility, satiability, versatility ability, it is widely used as an effective medium to publish document on web. So , in many cases, we may need to convert PDF to XML. Why choose VeryPDF PDF to Any Converter for Mac to convert PDF to XML? Tutorial: How to convert PDF to XML on Mac OS X? This article can help you convert PDF to XMLon Mac OS X step by step. Here we go. Firstly, get VeryPDF PDF to Any Converter for Mac and install it. Secondly, drag PDF files or click Add to add PDF files to the process queue. The PDF files will be listed in the process queue in the right part of the interface. Thirdly, chooses PDF to XML on the left panel of the interface and input/choose an Output Folder for the converted XML files under the process queue. Finally, click Start to convert PDF to XML. If you just want to convert some pages of the PDF file, you may specify the page range in the Setting dialog. Then click Apply to go back to the main interface. That’s it! So easy, right？As you can see, the process to convert PDF to XML on Mac OS X is very simple. So why are you hesitating? Go for this method to convert PDF to XML on Mac OS X NOW! Besides conversion from PDF to XML, VeryPDF PDF to Any Converter for Mac also supports more conversion options. To know other conversions or more information about how to convert PDF to XML on Mac OS X by VeryPDF PDF to Any Converter for Mac, please enter its homepage and you can also leave your messages below or contact via support@verypdf.com if you have any questions about the product. How to Convert PX3 to TIF? How to quickly convert PDF to PS? Is there a way to convert WMF to TGA flexibly? This entry was posted in VeryPDF Blog and tagged convert PDF to XML. Bookmark the permalink.